At age 16, John Avila emptied his pockets to purchase a second-hand bass he discovered in a friend’s attic. That small investment proved more than worthwhile as Avila embarked on a life-long journey of non-stop performing, recording, and producing. He can hardly remember a time that music did not play a vital role in his life. Raised by musical parents, he started gigging professionally as a junior in high school. In 1984, he became part of the quirky cult sensation Oingo Boingo, and hasn’t slowed down one bit since the band’s dissolution in 1995. After the break-up, Avila built the ‘Brando’s Paradise’ recording studio and launched his career as an independent record producer, mixer, engineer, and session bassist/vocalist. His producing credits include Food For Feet, Reel Big Fish, Voodoo Glow Skulls, Neville Staple and Quetzal, among others. 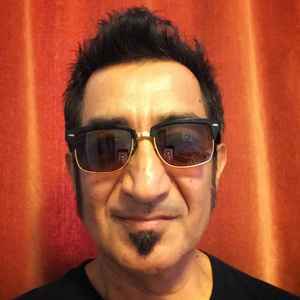 He has played bass on a variety of film and television soundtracks, including Columbia‘s “To Die For,” and Showtime’s “Resurrection Blvd.” The ever-energetic Avila also continues to tour and play with several different bands.